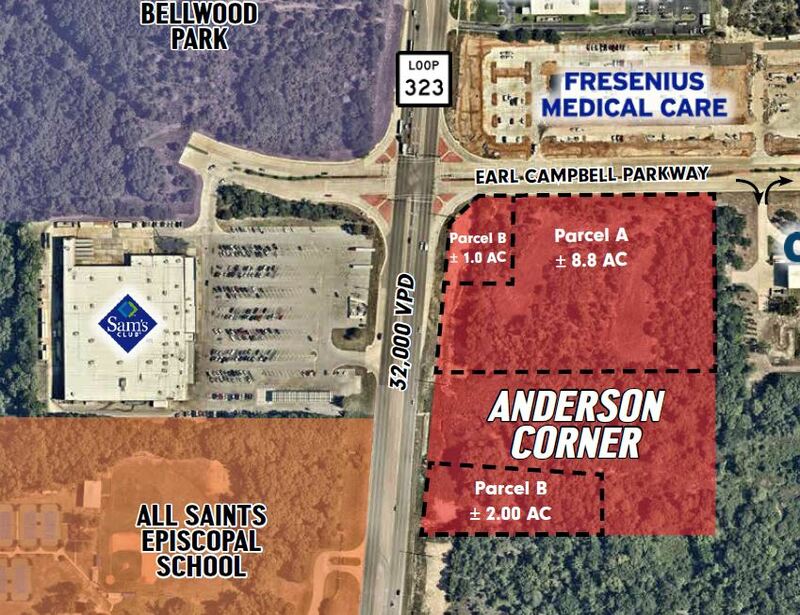 Range Realty Advisors, LLC is pleased to present a total of 8.16 net acres of land for sale in Tyler, Texas at the southeast corner of Loop 323 and Earl Campbell Parkway. The property is approved for a wide range of uses, including industrial, retail, office an automotive. Furthermore, the land also benefits from high visibility due to its location on Loop 323, which has a traffic count of over 30,000 vehicles per day. Please download the Anderson Corner brochure using the link below, or visit our contact page for additional information about this property.